You are cordially invited to the 4th planting day at Varnycrooks Orchard! 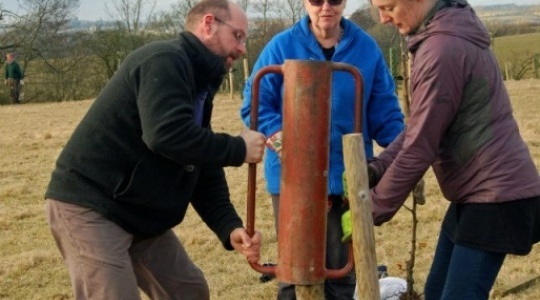 There are a small number of trees to be planted this year and we welcome anyone interested to lend a hand! The main objective of the day will be to apply a mulch of old hay to each tree - this will provide both weed suppression and nutrients over the course of the growing season. When does the digging start? We get cracking at 1pm! The orchard is at Threapland - please get in touch with us on our Facebook page for directions or to organise a carshare.